SKU: OTHL. Category: Ceramics. 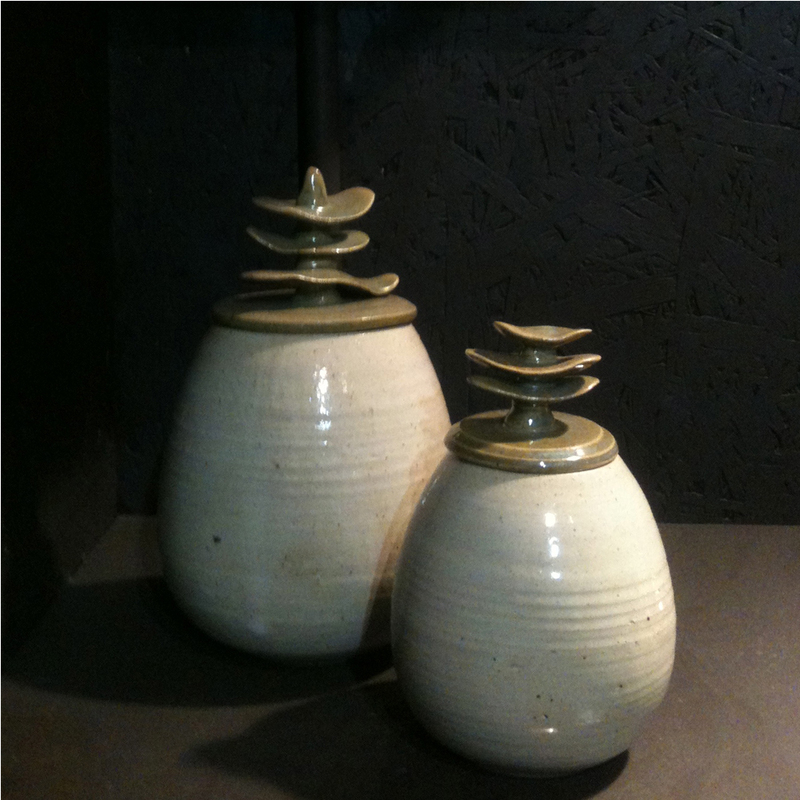 Tags: ceramic, hand finished, handcrafted, India, quirky, storage. 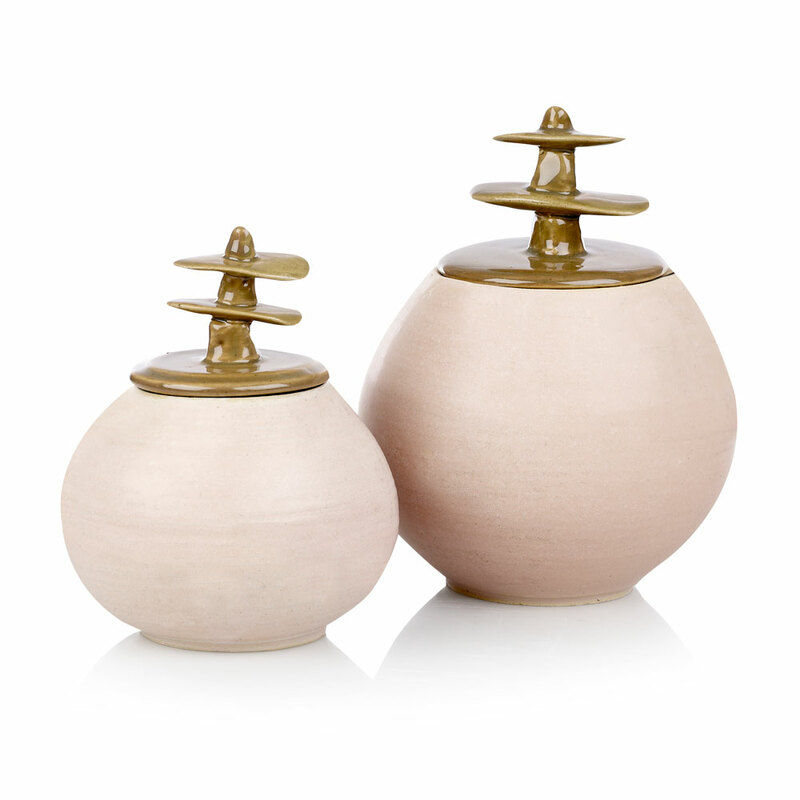 Fun, stoneware storage jars with a decorative, sculptural lid. 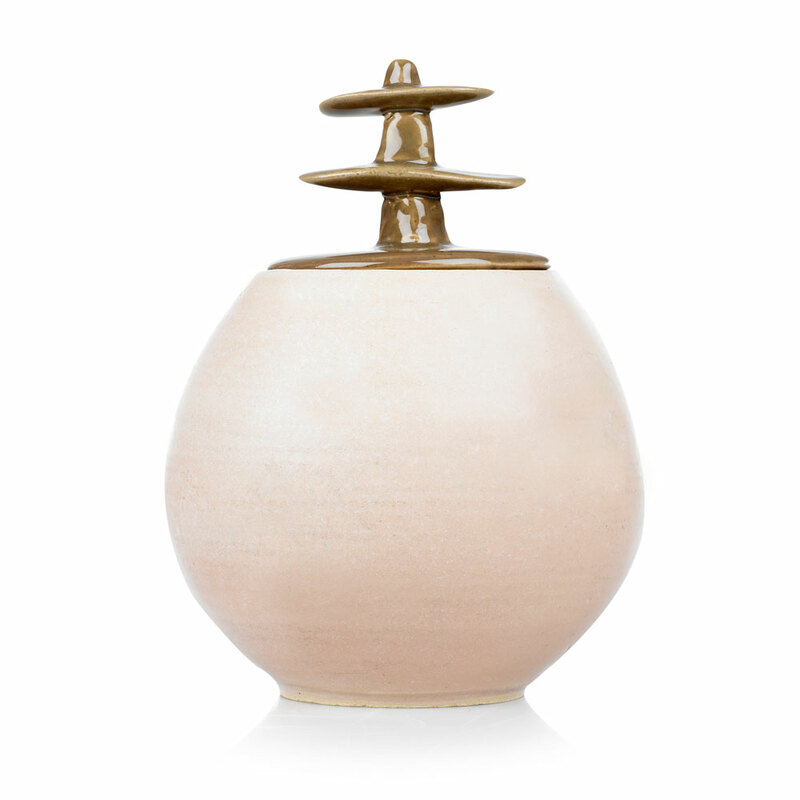 The lid reminds me of Peruvian shrines to Pacha Mama but is a lone tree on a hillside. 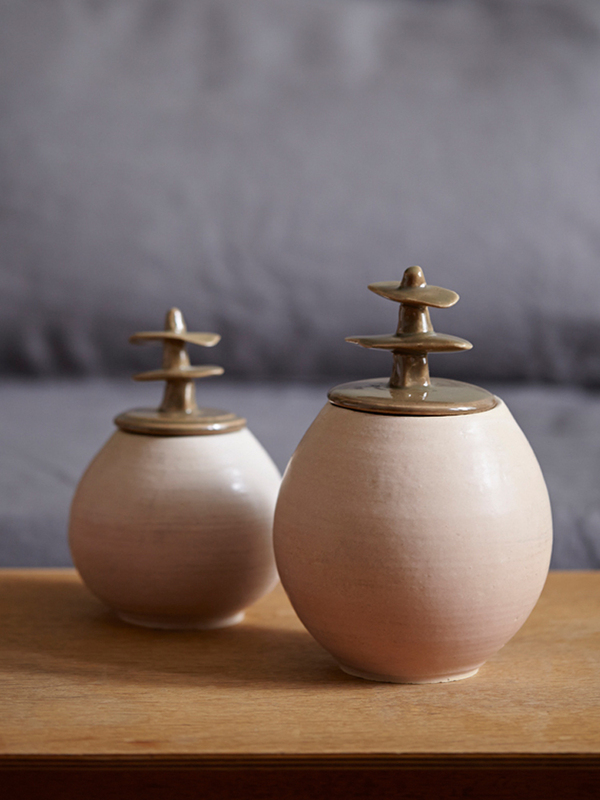 These storage jars are perfect for hiding clutter and look good as a pair. The base is beige in colour and the lid is a shimmery green. 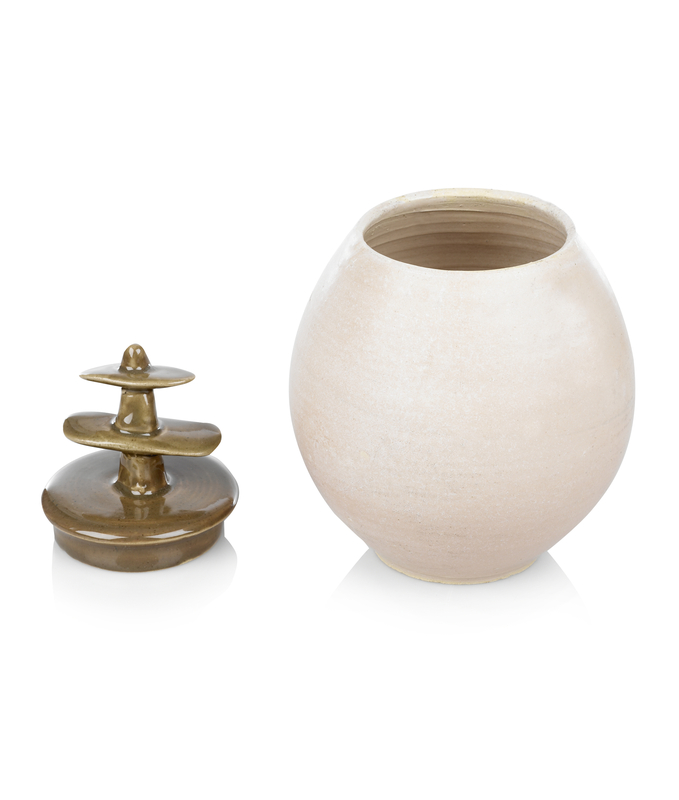 No two pieces are identical as each piece is hand thrown and hand built by a talented ceramicist.